What is the Chuck II? At first glance, the Converse Chuck II may not look that much different than its predecessor—the Converse All-Star. That similar aesthetic is very intentional, but there’s definitely more to the construction than what you think. 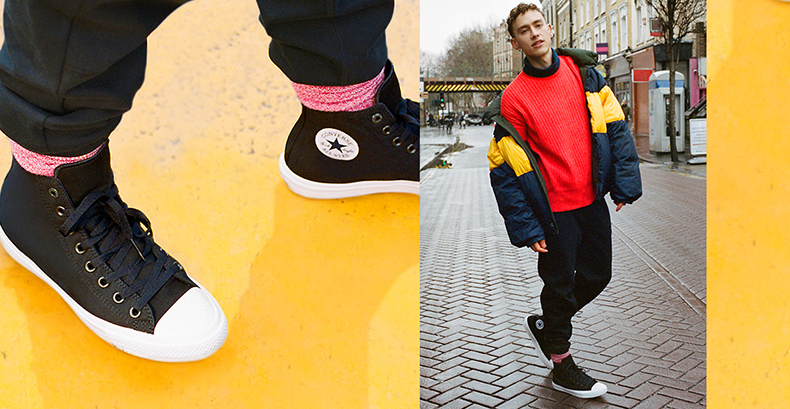 So now onto the big 2017 campaign from Converse ‘Forever Chuck’. 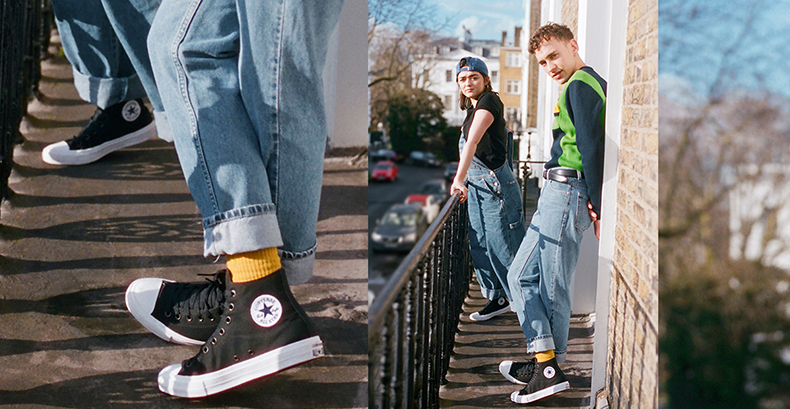 Now the Chuck Taylor is now 100 years old and is an everlasting symbol of youth culture – the campaign connects the brands street style icon with a generation of creators. As part of the campaign 4 different silhouettes of the Chuck will have their own campaign, with us here at schuh focusing on the most delicious of them all ‘The Sequel’. 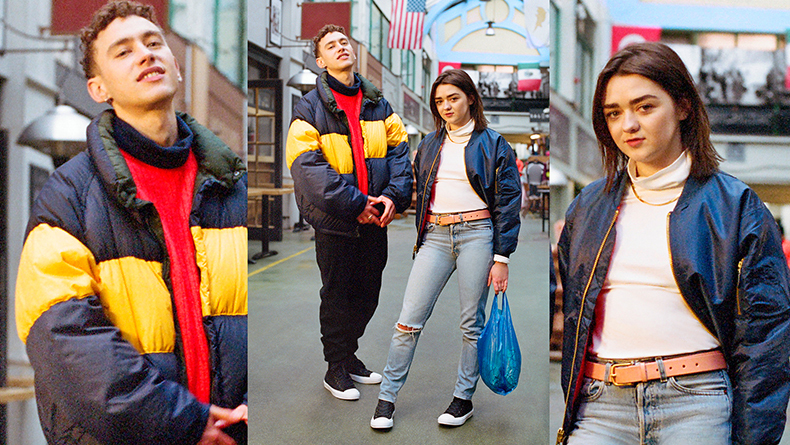 The Sequel gets two of the most well-known faces around the UK just now with Maisie Williams off Game of Thrones and Olly Alexander from Years and Years. Why get these two to endorse the Chuck II we hear you asking? Well with these two at the top of their respective games as well as being instantly recognisable. Exactly what you’re wanting in your respective ambassadors, what a time they had in London during the shoot. 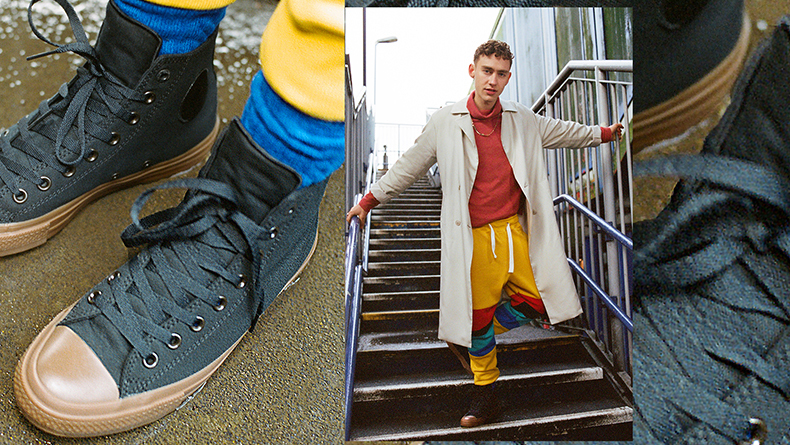 Feast your eyes on the exclusive to schuh episode above and some lovely pictures of the pair below sporting their fresh Chuck II’s around the Big Smoke. Inspired you to slip into a pair of Converse Chuck II’s yourself? Course it has, check out our full range of Chuck II’s here or if it’s more original you’re looking for have a browse of our full range of Converse.